Will This Shoot 3M Co (MMM) to New Highs? On Thursday, 3M Co (NYSE:MMM) will release its latest quarterly results. The key to making smart investment decisions on stocks reporting earnings is to anticipate how they’ll do before they announce results, leaving you fully prepared to respond quickly to whatever surprises inevitbaly arise. That way, you’ll be less likely to have an uninformed, knee-jerk reaction that turns out to be exactly the wrong move. 3M Co (NYSE:MMM) stock has jumped to all-time highs as the Dow Jones Industrial Average 2 Minute (INDEXDJX:.DJI) component tries to reignite its innovative spirit. The company best known for its office products actually has a wide range of lucrative businesses, and through acquisitions, 3M has opened the door to some new opportunities as well. Let’s take an early look at what’s been happening with 3M Co (NYSE:MMM) over the past quarter and what we’re likely to see in its quarterly report. Can 3M keep moving forward this quarter? Analysts have pulled back a bit in recent months on their calls for 3M Co (NYSE:MMM)‘s earnings. They’ve cut their consensus for the just-finished quarter by $0.03 per share but only dropped their full-year 2013 earnings estimates by $0.02 per share. Investors have been more bullish, bidding the stock up 10% since mid-January. 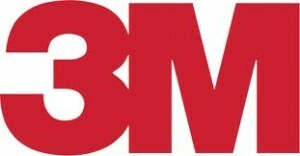 3M has a long-held reputation as an innovative company. After the company lost its innovative edge over the past 10 years due to greater focus on management techniques and acquisitions, CEO Inge Thulin is returning 3M to its roots, boosting research and development spending in an effort to bring back organic growth. 3M Co (NYSE:MMM) has also done a good job of defending its intellectual property. Late last month, the company announced that it had won a lawsuit against Avery Dennison Corp (NYSE:AVY) for patent infringement, and the court dismissed counterclaims that Avery had filed against 3M. Yet for the most part, 3M has been a lot more conservative than other similarly placed conglomerates. General Electric Company (NYSE:GE) in particular has completely reinvented itself, moving strongly into the energy industry with offerings focused on energy infrastructure that range from traditional oil and gas services to renewable-energy products. Despite 3M’s purchase of Ceradyne, changes to its core strengths don’t appear imminent, and even Thulin seems content to take a patient approach that allows it to make dividend increases while adding incremental growth. In 3M Co (NYSE:MMM)‘s earnings report, watch for the company to give more details on exactly where it plans to focus its R&D efforts. With the need to demonstrate forward progress, Thulin and the rest of 3M’s management team need to put forth a strategic vision to return the company to the cutting edge of innovation. The article Will Earnings Send 3M to New Record Highs? originally appeared on Fool.com is written by Dan Caplinger. Fool contributor Dan Caplinger has no position in any stocks mentioned. You can follow him on Twitter @DanCaplinger. The Motley Fool recommends 3M. The Motley Fool owns shares of General Electric.